Though the state’s five national parks—Arches, Bryce Canyon, Canyonlands, Capitol Reef, and Zion—often steal the show, Utah also boasts a handful of very impressive state parks, from Snow Canyon to Goblin Valley to Kodachrome Basin. 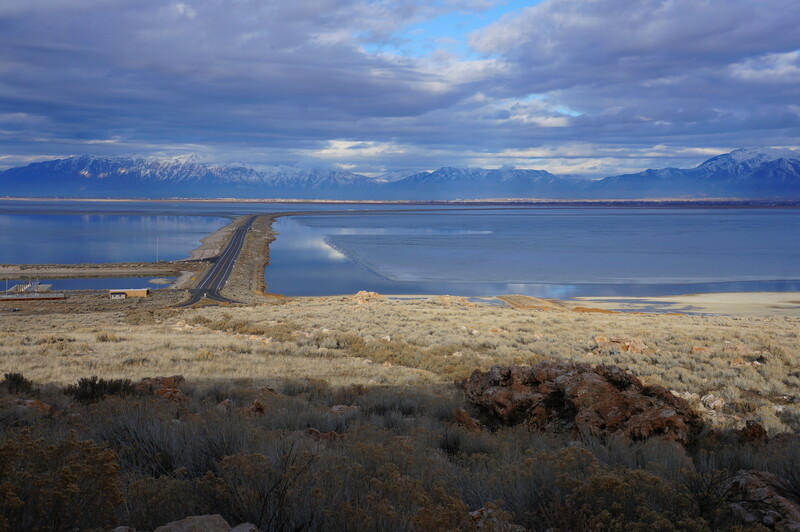 Another is Antelope Island State Park, a peaceful refuge for wildlife and wonder, a beautiful landscape surrounded by Utah’s famously inhospitable Great Salt Lake. 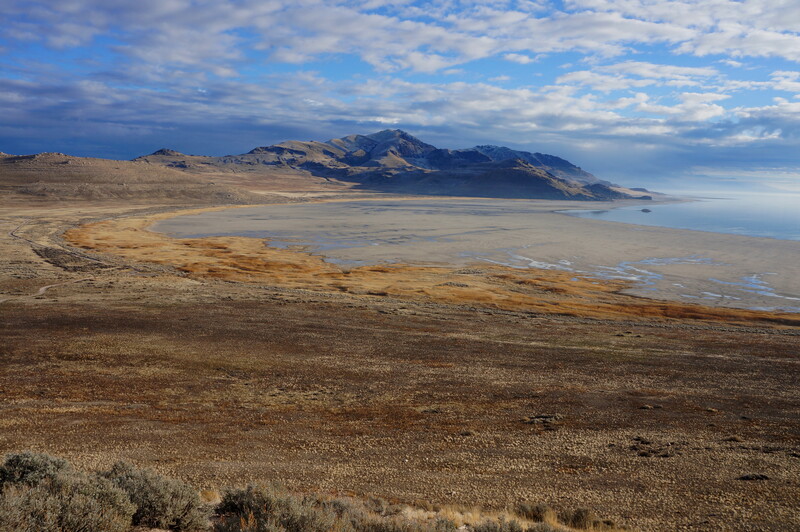 When Sarah and I visited Antelope Island in January 2015, I was impressed on two levels. First, the island—far from a tiny preserve for migratory birds—feels extraordinarily immense: the largest of the isles in the Great Salt Lake, Antelope Island stretches 15 miles from end-to-end, and 6,596-foot Frary Peak rises like a titan above the grassy shores. In the evening, vistas in all directions—particularly east to the Wasatch Range—are simply stunning. Second, of course, is the outstanding array of wildlife. 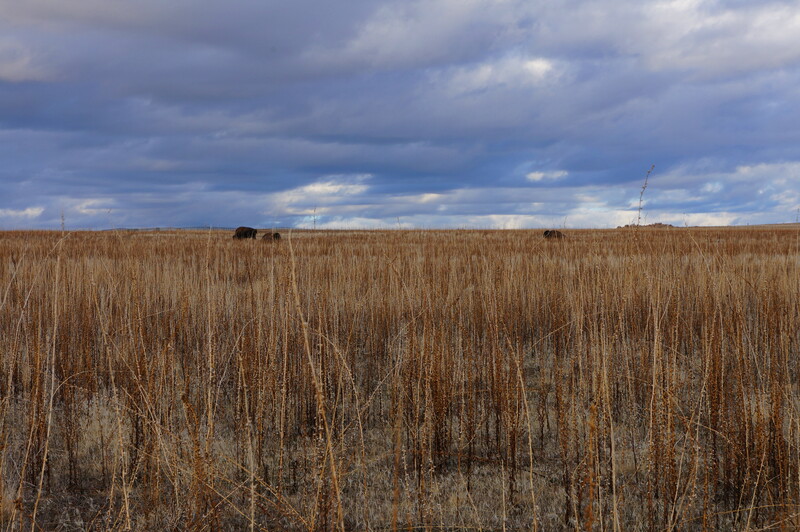 The park boasts a herd of 550-700 American bison, which are often easily viewed by car. 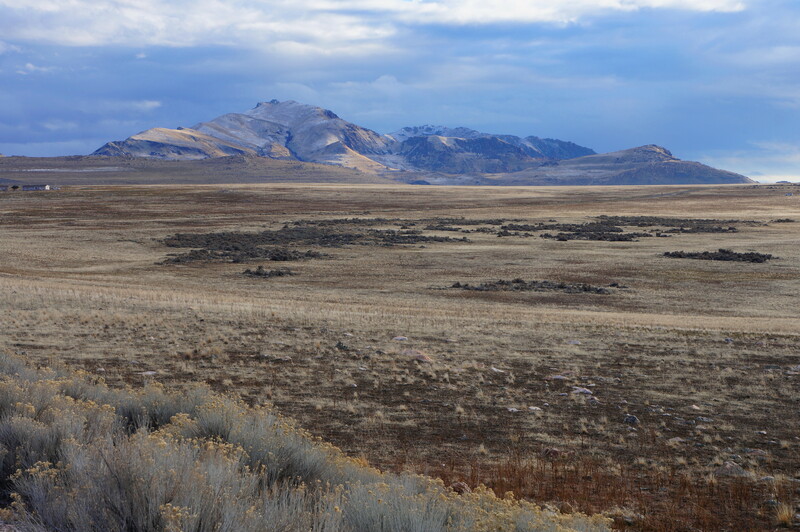 Pronghorn antelope, mule deer, bighorn sheep, and a wide array of birds also call this serene island home. 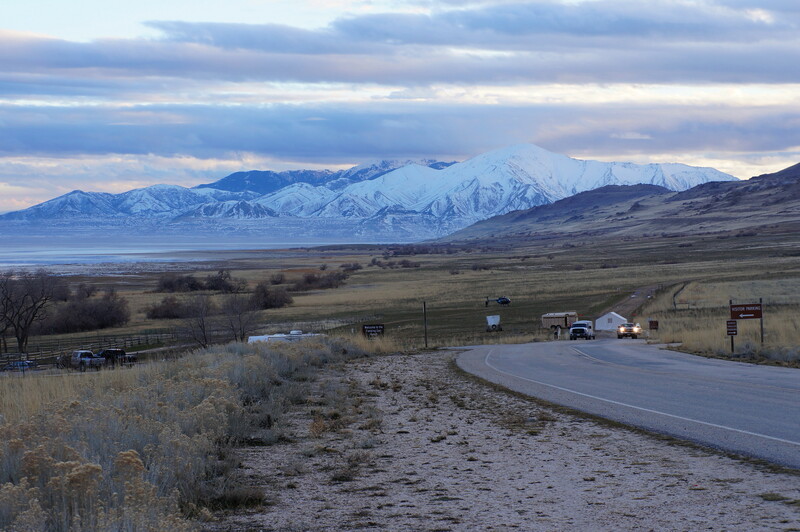 The serenity is all the more surprising considering Antelope Island’s location—under 40 miles from downtown Salt Lake City, and 25 from nearby Ogden. 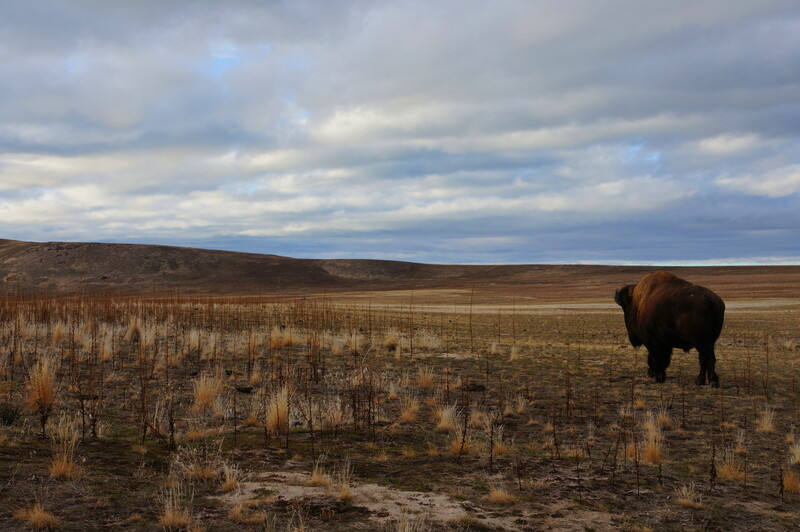 This means the park can sometimes feel crowded; at roughly 313,000, visitation at Antelope Island ranked second-highest among Utah’s state parks in 2014. However, I’d imagine it is easy to find solitude on many of Antelope Island’s 14 established trails…which I am eager to explore when I next return. 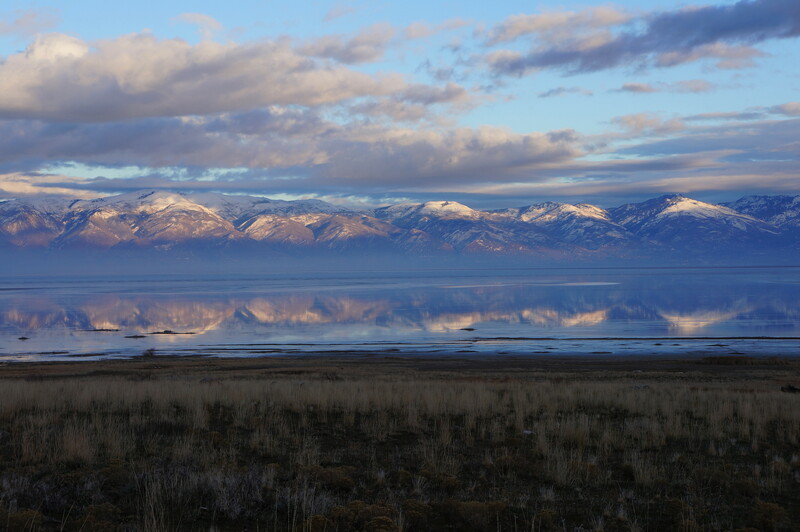 Alas, our visit to Antelope Island in January was abbreviated—I’ll be back for certain—but for now, enjoy the photo collection, courtesy of Sarah! This entry was posted in Antelope Island State Park, Utah and tagged Antelope Island, Antelope Island panorama, Antelope Island photos, bison, Buffalo Point, Elephant Head, Frary Peak, Great Salt Lake, lake, Ogden, Salt Lake City, Utah, Wasatch Range. Bookmark the permalink. With regrets I skipped most of the state parks when I visited Utah (two visits) several years ago. I did visit the coral pink sand dunes and calf creek falls (maybe not state parks but very nice). Utah is a beautiful state. Indeed – there’s a lifetime’s supply of fantastic scenery in Utah!